The seaport echoes with the sounds of battle. Norse raiders arrived to relieve their foreign foes of their bountiful treasures. One Viking warrior stands tall, claiming the victory while wearing the Odomar Viking Leather Cuirass. 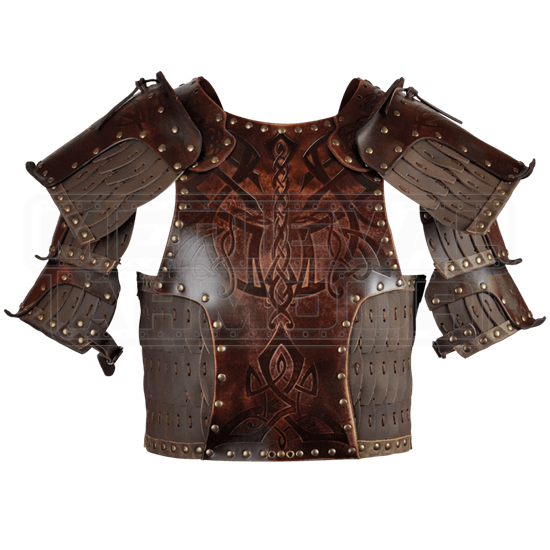 Scaled pauldrons provide a broad defense upon the shoulders. Their layers enhance a Vikings defense without forsaking flexibility and comfort. The torso armour follows the same theme with scaled segments at the waist. Antique-brass plated rivets trail the edges, while elegant Norse patterns decorate each section. 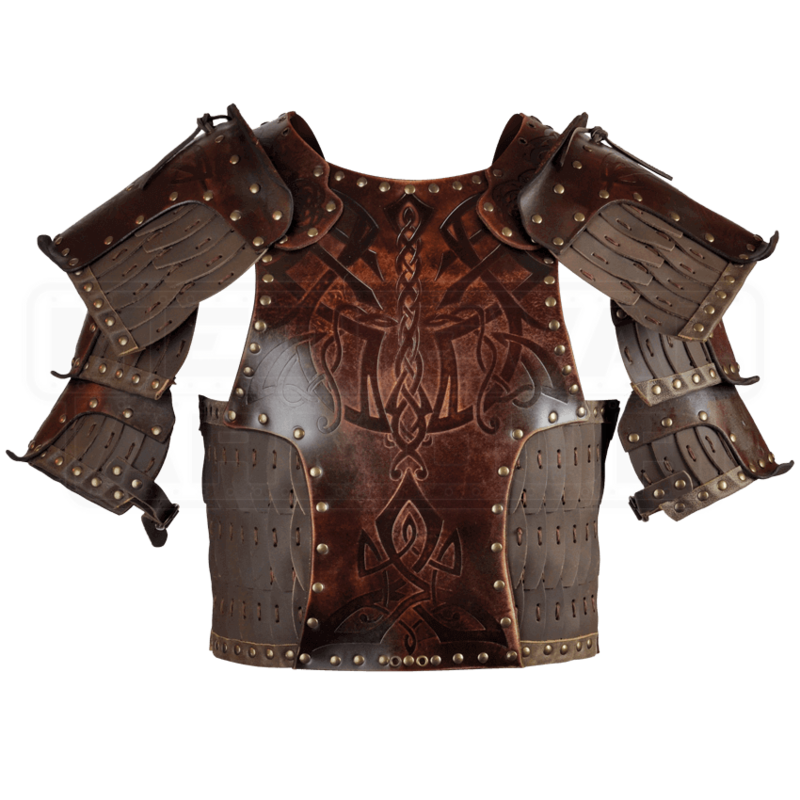 Each pauldron attaches to the cuirass shoulder via eyelets and leather lacing. An adjustable buckle strap secures them to the warriors arm.